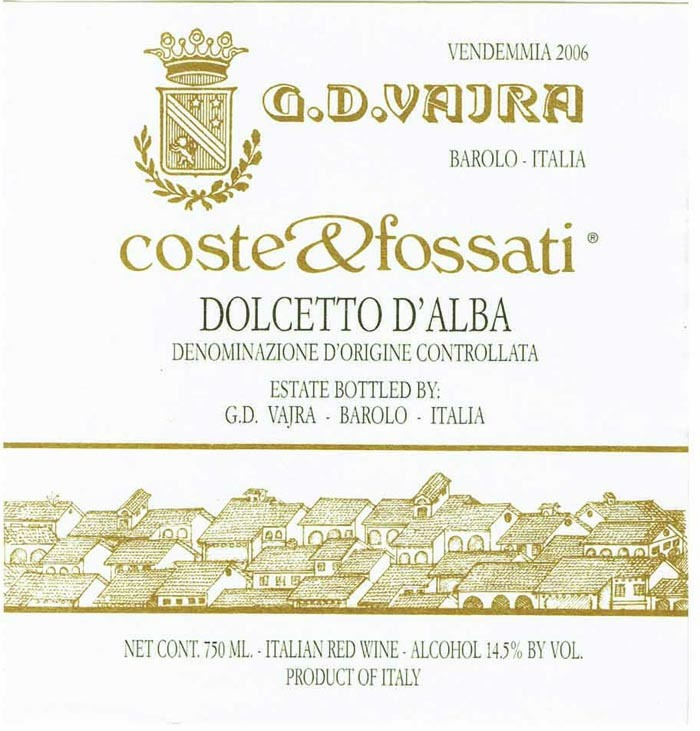 Coste & Fossati is a hymn to Dolcetto. The selection of red stem vines was created at the beginning of the '80s by Aldo Vaira. The shoots he pruned have made the Coste and Fossati vineyards. The production is limited to maximum one bottle per plant. The vinification is pure and simple, in order to respect the variety and the quality of the fruit.